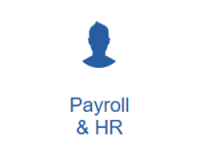 The HR module allows tracking of Holidays, Sickness training and salary information as well as full P11D organisation. Payslips can be printed or emailed to employees upon their preference in order to save more time and expense. This module has the ability to assess your workforce for auto enrolment and further calculate the contributions due for your employees. Opera 3 Payroll has been enhanced with automated salary sacrifice to enable Payroll to automatically calculate percentage based or fixed value sacrificed pension contributions.